If you’re a football fanatic, you’ll be glued to your television once you h ear the referee’s whistle. 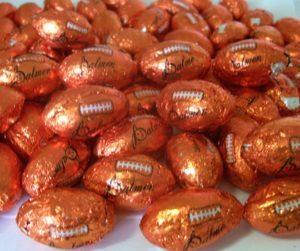 What better time than now to stock up on some great football themed candy and snacks? BlairCandy.com has a huge selection of football candy and snacks to help you cheer on your favorite team. One of our biggest sellers is our chocolate footballs, and it isn’t hard to see why: you love football, you love chocolate. It’s a perfect match! How’s that for a winning touchdown? Browse our huge selection today at BlairCandy.com. The popular brand of Snickers is expanding their portfolio with the new Snickers Crisper candy bar! In this new addition, crispy rice and crunchy peanuts are topped with a layer of caramel and coated in creamy milk chocolate. Try them for yourself – find new Snickers Crisper candy bars here! Valentine's Day Lollipops are Great for Classroom Exchanges! Are you or your child participating in a Valentine’s Day candy exchange for a classroom or organization? Valentine’s Day lollipops are the perfect treats to share! 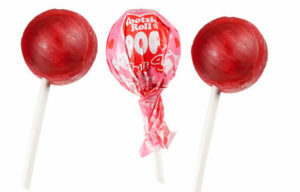 Fun varieties from Jolly Rancher, Tootsie Roll and Charms make Valentine’s Day celebrations a breeze. Some include fun messages, or places to write your own right on the wrapper so you can customize them for each recipient. If you’re not part of a party this year, Valentine’s Day lollipops are also perfect for the office candy jar or candy buffets. Then they’re simple yet sweet, you can’t wrong! Why Do We Give Candy on Valentine’s Day? 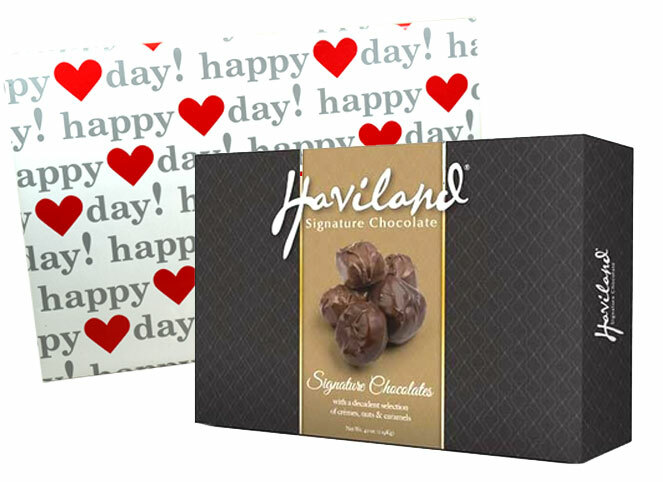 Ever wonder why boxes of chocolates and conversation hearts are staples for Valentine’s Day? While the history of Valentine’s Day goes back to the 1300’s, the tradition of giving Valentine’s Day candy on February 14th did not evolve until later. Sugar was actually still a precious commodity back then! By the 1840’s, Valentine’s Day had taken over most of the English-speaking world. Victorians showered each other with fancy cards and gifts. Then came Richard Cadbury, who was part of a family of chocolatiers. Cadbury had recently changed its chocolate recipe, and Richard marketed some of their new chocolate items by selling them in beautifully decorated boxes he had designed. It wasn’t long after that Cupids and roses started appearing on heart-shaped boxes containing more sweets!